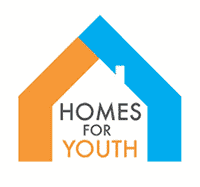 Homes for Youth (H4Y), now operating as part of Keystone Development Inc., was created to help Johnson City youth, ages 18 through 25, who have no permanent residence and few resources. To locate the youth, who are often an invisible population, the JCHA networks with organizations (such as Holston Home, Youth Villages and Frontier Health) that work with children who have been placed under state custody and could become homeless after age 18. Once found, the young adults are given transitional housing and provided with case management through Youth Villages. A team of up to 12 mentors is provided to offer counseling and spiritual support and for teaching participants basic life skills. Each youth is asked to sign a contract outlining limitations and expectations.